M S International, Inc. (MSI), a leading distributor of natural stone, quartz and tile in North America, has significantly expanded its operations in the Midwest. MSI recently opened a tile distribution center in Elk Groove Village (Chicago), Illinois. The opening of this new tile facility enables MSI to double its slab capacity in the region. With both a tile and slab facility in Chicago, MSI now has over 120,000 sq. ft. of warehouse space in which to store more than 500 truckloads of natural stone. The newly renovated slab facility will be one of the largest slab facilities in the Midwest region. The site will stock MSI’s full line of over 250 colors of granite, marble, quartz, travertine, onyx, limestone, and slate slabs. The facility will exhibit a number of state-of-the-art features, including five overhead cranes, RFID, lighting, and carpeting, which provide an industry-leading slab selection experience. The new tile warehouse is conveniently located next to the current facility in Elk Grove Village, Illinois. The distribution center will have capacity for over 300 truckloads of granite, marble, travertine, slate, limestone, porcelain, ceramic and decorative items. MSI, founded in 1975, is a leading distributor of natural stone in North America. Headquartered in Orange, California, MSI also maintains distribution centers in New Jersey, Atlanta, Boston, Chicago, Dallas, Houston, Maryland and Phoenix. MSI also maintains international offices in Brazil, China, India and Turkey. MSI's product line includes granite, slate, marble, travertine, sandstone, limestone and other natural stone products imported from over 35 countries on six continents. In addition, MSI carries a full line of porcelain, ceramic and quartz surfaces. 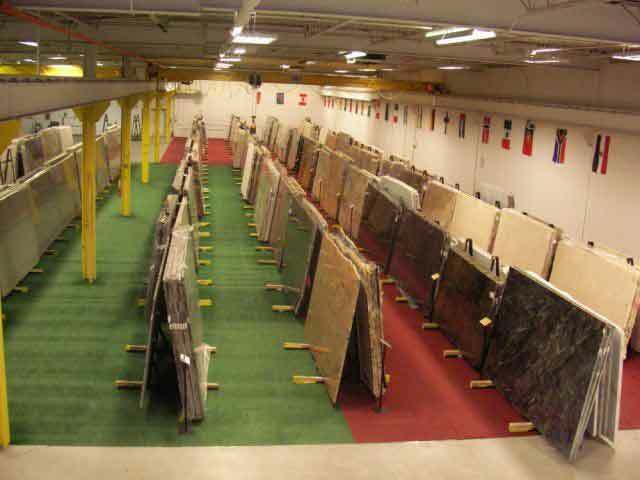 The company services a nationwide customer base, which includes leading retailers and wholesalers of natural stone. With a workforce of highly experienced, enthusiastic and customer driven employees, MSI strives to accomplish the vision of "being the world's premier distributor of natural stone." More information on MSI can be found on the web at msisurfaces.com.